Our week in review: celebrated St. Patrick’s Day (and our 9-year engagement anniversary) by eating Lucky Charms (my daughters’ choice), wearing green, listening to Irish music; continued in the sometimes-overwhelming rhythm of our normal lives as a pastor-counselor/writer duo trying to manage our home and nurture our 4-year-old twins’ hearts and faith; laughed a little at the antics of our daughters along the way; rejoiced at God’s provision of a home for my in-laws to buy (they’ve been renting since moving here in the fall – and this home is just *perfect* for them! ); saw depths of sin and depths of grace in my own heart as I love and counsel others through the same. Real is so hard to become, isn’t it? 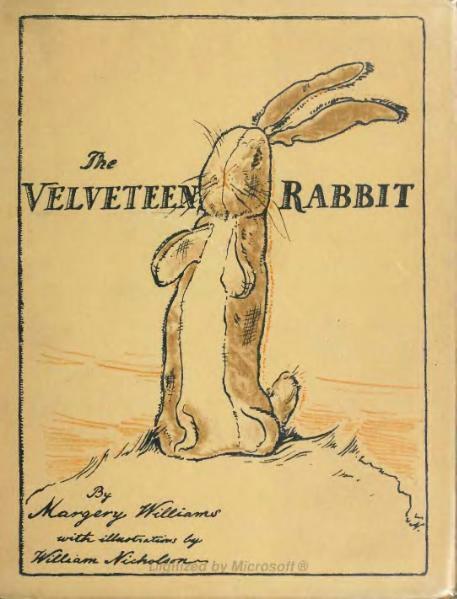 Just ask the Velveteen Rabbit, or Eustace from The Voyage of the Dawn Treader who had to undergo a painful extraction of his dragon-like skin in order to discover who he was. Real is paraded as what we are all going for these days – “real food” “authentic/real relationships” “real hope for troubled times” “reality TV shows (that are anything BUT real …)”. But to be real? Well, it takes courage. It is hard to show up as I really am, without knowing how you will receive me. It can be excruciating to be the first one vulnerable in a group. Or to be exposed for my failings in front of anyone else. But empathy and connection and love cannot happen unless I risk becoming real. * Being vulnerable – showing up as I am unmasked by disguises or pretenses or what I think you want me to be. Oh, to be real! It will open up doors of belonging (and it has in my life), and it will also open up long-standing wounds. I’ve experienced both in my journey to become real. To show up because I know I am already loved, forgiven, accepted, delighted in, validated, dignified. 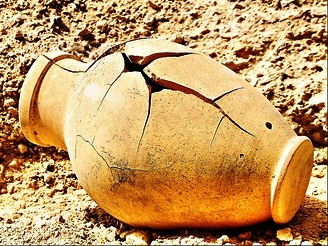 To show up to others in the middle of my weaknesses because I am trusting that God’s grace is made strong here … in these very fissures of my cracked clay jar that let in (and out) the Light of hidden glory. *I am indebted to two courageous women who have shown me through their writings how to be real like this, and whose ideas I am paraphrasing and personalizing here: Brené Brown’s The Gifts of Imperfection and Daring Greatly and Glennon Melton’s Carry On, Warrior and blog at momastery.com. I so agree! Letting ourselves be real is a double-edged sword. Thankfully so far the blessings outweigh the painful moments. Hope you have a happy Friday! This book was the first thing I thought of with this prompt. The most beautiful story about being real. I also agree about Brene Brown and Glennon. I took the online course Gifts of Imperfection – awesome! And we’ve used one of Glennon’s videos in our recovery program. You hit the trifecta here today! Thanks, Debby! I too have done Brene’s online “Gifts of Imperfection” course. Loved it!! Thanks for visiting again. This is so good! I love your heart on this. To be real is so hard sometimes, yet what we really yearn for is to truly be known and know another in return. To share our hearts. Thanks for sharing! Glad to have met you on FMF!